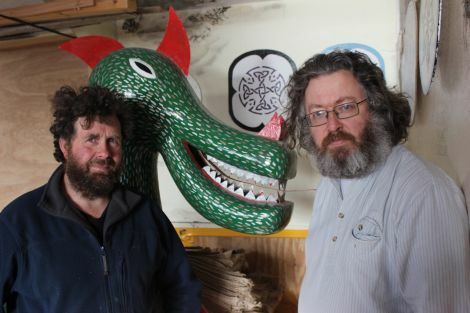 THE ORGANISERS of one of Shetland’s most popular fire festivals are breathing easier after being threatened with eviction when the local council sold their headquarters to a businessman from England. 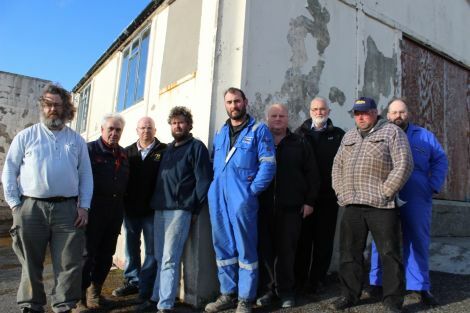 The Northmavine Up Helly Aa committee were gazumped when Shetland Islands Council put their galley shed, a former primary school canteen in Urafirth, on the open market. A week ago the devoted fire festival fanatics thought they were going to lose the building they have used for the past 20 years to build their galley and organise the event that draws hundreds of people to the area every February for a weekend of riotous partying. Despite repeated attempts over the years to purchase the building, which they have spent several thousand pounds improving, the council had always refused to sell. 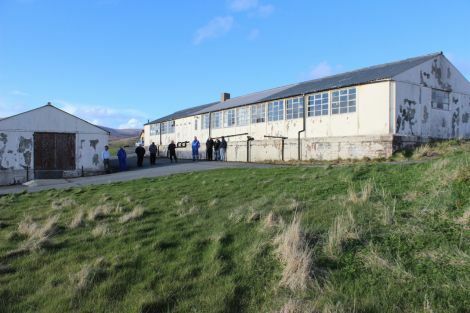 Then last year council officials were warned that the rest of the former Urafirth primary school was in a dangerous state of repair, so they decided to offload the entire complex as a “toxic asset”. The roof of the former school was made from asbestos that was starting to perish, creating a serious health hazard, and part of the roof was showing signs of collapse. The latter day Vikings on the Up Helly Aa committee persuaded the council to delay the sale until after this year’s fire festival. Then they put in a bid to buy the entire old school complex, even though all they wanted was the galley shed, and found themselves beaten by David Grunshaw, a mussel farmer from Lincolnshire hoping to set up in Shetland. The committee were furious that the council had ignored their bid despite a request to negotiate, saying that the fire festival played a huge role in the local community. “They say they have to get best value, but this is certainly not best value for the Northmavine community,” said James Titcomb, the Guizer Jarl at next year’s Up Helly Aa. “It’s really disgraceful after 20 years of using this building to sell it out from under our feet. Local councillor Alastair Cooper tried to step in and reverse the sale, but said by the time he got involved it was too late. He explained the decision was delegated to council officers who were obligated to sell the building to the highest bidder. Only if the matter had come before councillors would a political decision to sell it to the committee have been possible. “With the benefit of hindsight it should have been handled differently and been seen as a community asset and the council should have dealt with it in that regard, but officers acted properly within their delegated authority,” he said. Last week SIC capital programmes manager Robert Sinclair issued a statement saying: “The council has made a commercial decision to dispose of a property that was in poor condition, of low market value and which has no likelihood of being ever used to deliver council services. However local MSP Tavish Scott claimed the council could have easily divided the building complex and sold the galley shed to the committee, leaving the rest for another buyer. He added: “Holyrood is passing the Community Empowerment Bill. As the name suggests this helps community groups purchase assets, ie sheds, to develop their organisations. When contacted by Shetland News, the new owner said he had no idea of the committee’s interest in the building. Since then Grunshaw has been in touch with Titcomb and told him he has no immediate plans for the galley shed, and they are welcome to use it rent free for the foreseeable future. “It’s a privilege to help,” he said. He said he bought the building after it appeared on the council’s website because he is looking for somewhere to store his equipment when he decides to start his mussel farming business. Grunshaw’s company Laxfirth Shellfish has been granted five licences to run single longlines to test suitable areas for growing mussels in other parts of the isles, including off Brunt Hamarsland. The Northmavine Up Helly Aa committee said they wished to express their gratitude to Grunshaw for his offer. But they have also decided they want to build their own shed to make sure they are never again threatened with homelessness and are planning a fundraising drive in the next few months.